STAT’s Underground Construction Division serves Communications Companies, Utilities, Schools, Tradesmen, and Homeowners. We put wire and pipe underground without disturbing existing landscapes and surface structures. Operating a fleet of vibrating plows, trenching equipment and a directional boring machine gives us the ability to complete a wide variety of underground construction projects while preserving existing landscaping and surface structures. No matter what services we provide we always dedicate ourselves to two things — hard work and customer satisfaction. Our management system allows us to attract and retain the best workers in the industry and insure that each job is done properly and with 100% customer satisfaction. Our efforts result in satisfied clients with happy customers. In 1998 we were named Contractor of the Year by the Ohio Utilities Protection Service. We bury over 30,000 drops a year with excellent Quality Control (QC) rates and timely service. Our dispatchers work directly with client scheduling systems and act as a seamless extension of in-house capabilities. Real-time closing of work orders means your customer service reps are always fully informed about job STATus. Our extensive QC program allows us to eliminate problems the first time, dramatically reducing subscriber complaints. Our technicians are trained to identify and avoid existing underground obstacles, such as existing cabling, sprinkler systems, and dog fences. When the job is complete, the existing surface structures and landscapes are preserved with little evidence of work performed. Our manpower and equipment are also available for specialty jobs. We handle ‘Print Work’ for a variety of situations. Our equipment and experience makes us ideal contractors to install main lines in flexible conduit under roads or other obstructions. We can also install peds and service drops in new or existing apartment complexes, condo projects, and residential subdivisions. Directional Boring is the only form of underground construction which does not disturb existing surface structures. STAT Communications can thread wire and pipe under roads, landscaping, buildings, or other obstructions. 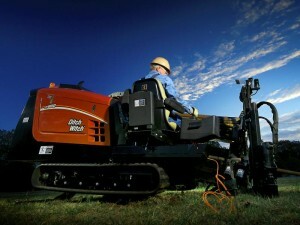 Where trenching is not practical, boring may be the only alternative. 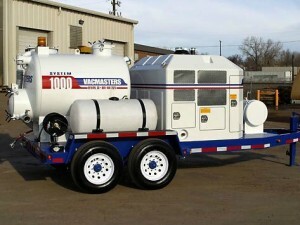 The Advantages of Air: The System 1000 is the next-generation in vacuum excavation technology. When compared to water, the System 1000 with air offers you higher performance in most soils, greater efficiency, lower costs, and is less invasive than water, reducing potential damage. The System 1000 also has high-pressure water on board for those rare instances when you might be potholing in sticky, wet clay or hard caliche. When wire needs to be 6 inches to 1 foot deep, there is no better tool than a vibrating plow. Plows slice sod cleanly and allow the turf to heal rapidly. STAT operates a fleet of over 30 plows throughout central and southern Ohio. We offer our services to businesses and individual homeowners as well as contract with utilities for bulk work. STAT Communications offers Directional Boring, Vacuum Excavation, and Trenchless Plowing services individually or on a long-term contract basis. Please call for a free quote or fill out our Quote Request Form .